Read about the fascinating lives of Boublil and Schönberg, who created the phenomenal Les Misérables, Miss Saigon, Martin Guerre and The Pirate Queen. Find out how these musicals were created in a book that’s packed with interviews, production details and stunning colour pictures. 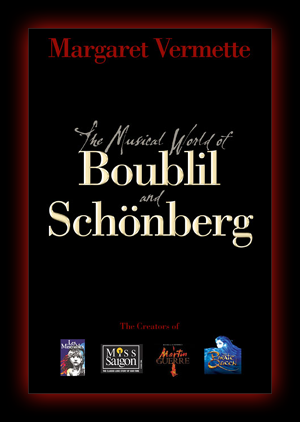 The writing of The Musical World of Boublil and Schönberg was completed in December 2006. The Show Updates pages are in a sense an extension of the book with reviews, interviews and details of casts and creative teams for all their new shows and concerts since then. The News pages give all the latest details of venues and dates for new shows, new productions and concerts, tour dates, casting news, new companies, awards, CD and DVD releases and TV coverage.